This article was originally written for and published in The Muslim Vibe. In 2014, Hollywood Director Christopher Nolan created an astounding cosmic tale – Interstellar – arguably the most accurate and fascinating practical depiction of Einstein’s theory of relativity to date. Set in a futuristic time frame, with theoretical physicist Kip Thorne as the movie’s science adviser, it focused on the concepts of gravity and time dilation central to the General Theory of Relativity. It provided an actual glimpse into the physical as well as psychological implications and repercussions that interstellar space travel would inevitably have on the lives of astronauts if they set out to discover and uncover cosmic mysteries. While the movie helped understand the main concepts and raise a general interest about relativity, it also proved to be a bit of a conundrum, particularly for those who were unfamiliar or just vaguely familiar with the theory. The fact of the matter is that Einstein’s theory is rather intricate, and relativity is indeed not an easy concept to grasp. Einstein came up with the final version of his renowned theory of relativity in the year 1916, a development which altered the face of theoretical physics and astronomy forever. Supplanting the two centuries old Newtonian mechanics, it completely transformed our preexisting views of the laws of nature, of time, and of space. Whilst the Special Theory of Relativity pertains to elementary particles and their interactions, it is the General Theory that explains the Law of Gravitation on a cosmological level, as well as concepts such as kinematic and gravitational time dilation. The absolution and constancy of the speed of light is also one of the central principles of the theory. The most interesting phenomenon in the theory of Relativity is the constancy of the Speed of Light. The point to be noted here is that in almost all Holy scriptures, God has likened His Presence to Light (Noor), a concept which was probably never better apprehended than it can be now, in light of our recent and latest understanding of the nature of light. According to Iqbal, Light is the closest thing to the Absolute, hence the example of Light in Holy Scriptures, including the above mentioned well known “Light Verse” of Surah Noor. “Personally, I think the description of God as light, in the revealed literature of Judaism, Christianity, and Islam, must now be interpreted differently. The teaching of modern physics is that the velocity of light cannot be exceeded and is the same for all observers whatever their own system of movement. Thus, in the world of change, light is the nearest approach to the Absolute. The metaphor of light as applied to God, therefore, must, in view of modern knowledge, be taken to suggest the Absoluteness of God and not His Omnipresence which easily lends itself to a pantheistic interpretation.” Reconstruction Lecture 1. Another important concept contained within the theory is Time Dilation. By definition, time dilation is “a difference in the elapsed time measured by two observers, either due to a velocity difference relative to each other, or by being differently situated relative to a gravitational field.” To paraphrase, time appears to move more slowly for an observer moving at or near the speed of light, or near a strong gravitational field. 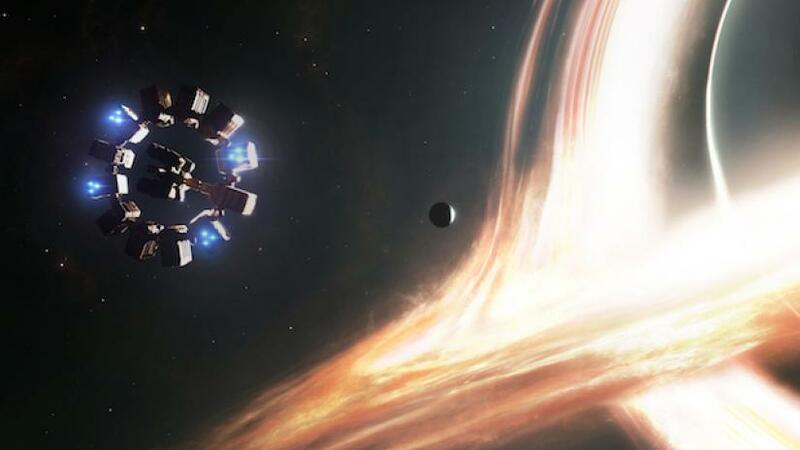 The Miller’s Planet scene from Interstellar quite accurately depicted gravitational time dilation, as the planet was orbiting in very close proximity to the black hole Gargantua, and therefore every hour passed on the planet was equivalent to 7 years for any observer outside the gravitational field. The Quran has addressed the issue of time quite extensively; there are multiple verses which speak of time, which can now be better and fully appreciated in light of Einstein’s theory. This verse is actually referring to Angels, who oversee the affairs of the universe and the cosmos under Allah’s Command, and then carry the reports of these affairs back to Him. Angels have been described in the Quran as creatures made of Noor or Light, and thus would indubitably travel at the speed of light, causing kinematic time dilation to occur. Hence, keeping the time and age of this revelation in perspective, when people generally traveled by foot, or on horses or camels, a day of travel from the Divine perspective, would be perceived closer to a thousand years on earth. We are told of the vastness of Paradise and Hell in the Quran. Keeping in mind the structure of Cosmic bodies as well as the stated size of the Angels and Allah’s Throne in the Quran, it can be inferred that Paradise and Hell are immense structures, much like the massive Black Hole Gargantua in Interstellar. According to the theory of relativity, time dilation occurs near vast structures due to their strong gravitational fields. Hence, the slowing down of time in Paradise and Hell relative to the passage of time on Earth, may be seen as an example of Gravitational Time Dilation. In conclusion, it may be said that modern physics, including relativity and quantum mechanics, has served to bring the material closer to the spiritual due to its discovery of unexplained mysteries and phenomena which leave the mind boggled and searching for explanations which lie beyond the realm of science. Even revolutionary scientists like Einstein and Hawking have been forced to concede the presence of a “Designer” who at the very least set this Creativity in motion. Thus, discovering the cosmos is ultimately bringing Humanity closer to Truth, closer to Reality, closer to God. Previous Shia, Sunni or Muslim?